Neurosurgeon Dr B. Srinivas said the surgery was to remove fragments of her skull which had entered the brain. 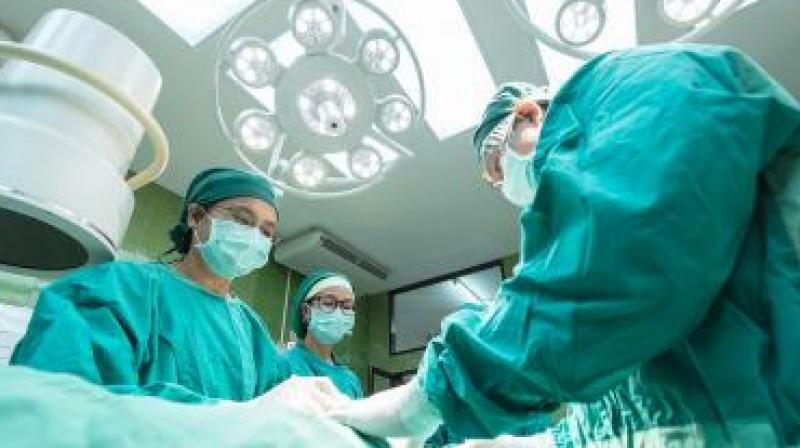 Hyderabad: The teenager who survived an attempt on her life by a stalker on Wednesday underwent a seven-hour surgery on Thursday evening. Doctors said the surgery went well and the teen was responding to treatment, though the next 24 hours would be critical. Yashoda Hospital Malakpet chief operating officer Dr Vijay Kumar said the surgery started at about 4 pm and ended at about 11 pm. “She regained consciousness on Friday morning,” he said. The 17-year-old was attacked with a billhook, allegedly by Chitkuri Bharath, 19, who had stalked her for two years, at Barkatpura on Wednesday. Neurosurgeon Dr B. Srinivas said the surgery was to remove fragments of her skull which had entered the brain. “We have remo-ved the fragments and decreased the pressure on the blood vessel which supplies blood to the brain.” There was another injury to the dura around the brain due to which fluid was coming out. “Air has entered her brain and this might result in seizures. Thr-ough medication we are trying to address the problem,” Dr Srinivas said. Doctors were also providing medication to prevent infection spreading from the billhook used to attack her. Dr Naresh from the intensive care unit sa-id said that a total of 20 units of blood and its products had transfused to the teen. “As she gained consciousness on Friday morning and responded to our questions we are slowly decreasing ventilator support. We hope to remove it by Saturday afternoon." Dr M.V. Chandra Mouli, plastic surgeon, said, “She sustained 15-16 stab injuries. Two teams operated on her, one on her head and the other to treat her other injuries.” He said that doctors had tried to attach her little finger which was amp-utated in the attack.